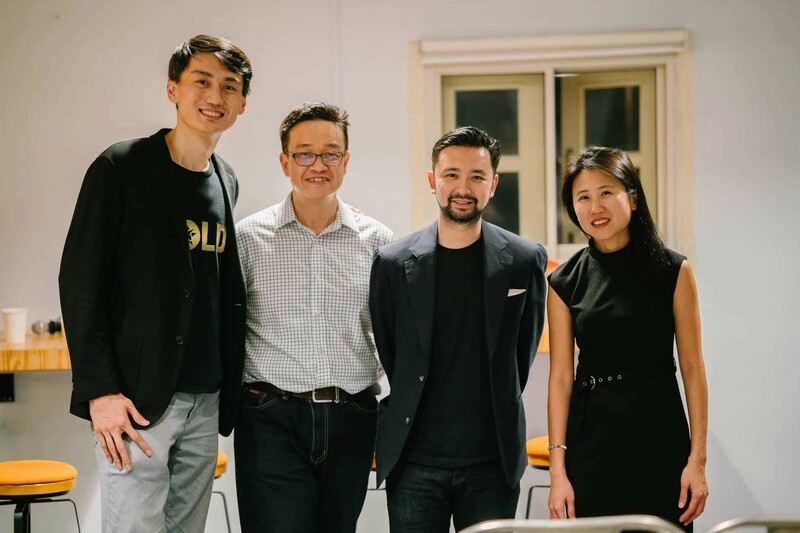 In November 2017, Asia Law Network organised a panel discussion on Alternative Funding with the Hive. 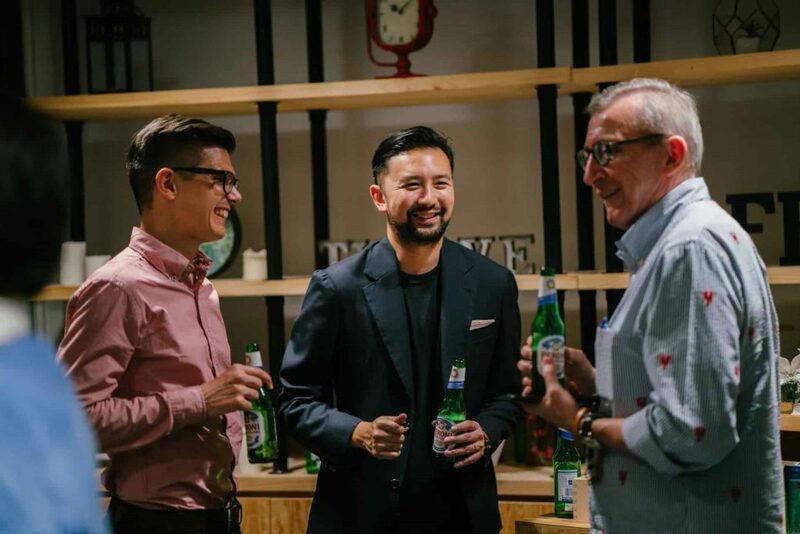 Paul Ong (Associate Director of Innoven Capital), Sherroy (“Roy”) Ong (co-founder of ArrowGates LLC) and Spencer Yang (Head of Asia, Unikrn) shared their thoughts and experiences with rising funding trends. The session was moderated by Grace Chen, Co-founder of Startuup Asia. What are some funding trends in recent years? Paul noted that with more start-up activity in the region, the venture capital base has increased tremendously – even corporate bodies have launched venture capital arms to invest in start-ups. Spencer named other funding trends which have been useful for local start-ups such as grants, cryptocurrency and crowdfunding. The panel delved into these trends later on in the discussion. Initial Coin Offering (ICO)– the future of funding or a passing trend? An Initial Coin Offering (ICO) is a fundraising method whereby the start-up sells their own crypto tokens in exchange for more established coins such as Bitcoin or Ethereum. As the cryptocurrency world is still relatively unregulated, ICOs are commonly used by start-ups as their fundraising method of choice to bypass the regulatory compliance costs required by other fundraising methods. ICOs have since become a popular fundraising method, financing $3.6 billion in 228 projects in 2017. Although ICOs are still a relatively new funding trend, Paul believes that once more structure and regulations are put in place, ICOs will probably be here to stay. At this point, it is easy to create ICO white papers due to the lack of regulations, but to an investor, token sales are still investments just like other sources of funding. Thus, projects would still be analysed based on how profitable they seem to be – in this regard, ICOs are no different from other funding methods. As Spencer explained, an ICO is almost like an IPO in that a white paper must be produced explaining the project before the token sale distribution event, and following that, the company must also update buyers on its plans and progress. Roy agreed, stressing that despite the technology involved, the success of an ICO still depends on how much preparation is put into planning the project and selling it to investors, just like any other investment. Fundamentally, it is no different from what otherwise known as ‘traditional financing’. If a certain project is not economically viable, and commercially does not make sense, ICO is not going to be a saving grace. Since November 2017, the guidelines issued by the Monetary Authority of Singapore on ICO have given these ICO aspirants with further certainty on the legislative boundaries to raise ICO financing in Singapore. How do you gain confidence in potential investors for an ICO? 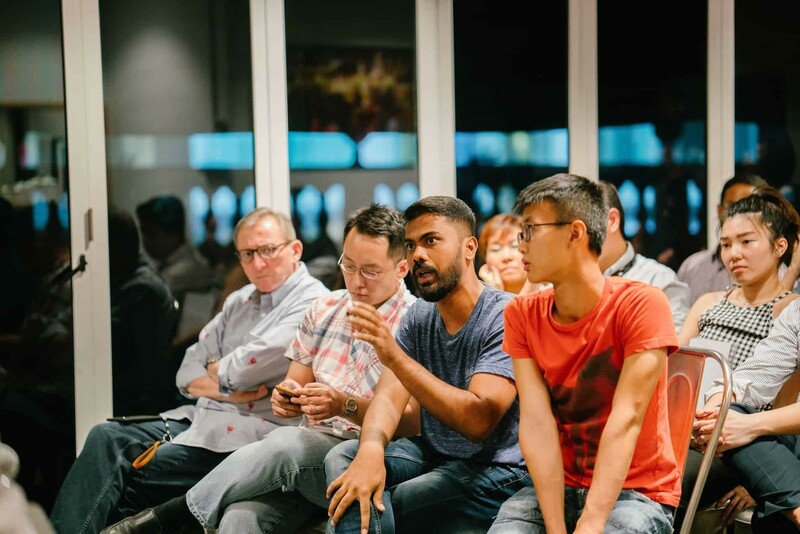 Given that ICOs are still very much unregulated elsewhere and still nascent in Singapore, one problem start-ups might face is that there might be difficulty gaining confidence with potential investors. Without regulations, irresponsible projects might conveniently vanish along with investor’s money and tokens. Spencer shared that with Unikrn, his team gained confidence in the investor community like any traditional company would – by communicating the project’s progress, who the team members are, what kind of backing the company has, what they intend to do with the funding, etc. to create a sense of credibility. Although there is only so much one can do to try to convince investors of a project’s potential, Spencer advised that founders should do so in a responsible way and let investors decide for themselves. Social media, blogs, and interviews are also good ways to establish a brand name and gain publicity. When choosing between crowdfunding or venture capital, it is important to consider what kind of relationship the company would like to have/can afford to have with its investor(s). Paul pointed out that if you are funded by a venture capital company, you would only be dealing with one investor who also happens to be experienced growing businesses. In contrast, crowdfunding entails dealing with a lot of investors, with whom it would require a lot of time, effort and money to maintain relations. Roy added that although crowdfunding may allow a project to kickstart faster with ease of pooling of small capitals from a crowd of investors, having more investors might also come with the burden of having to reconcile their competing interests. Some may just want quick returns, but as a founder you would need to think long-term for your company. On the other hand, a good venture capital company may be able to carry your start-up for a long time, without the operational concerns associated with dealing with multiple investors. Spencer added that the number of investors would also be a cause for concern if the start-up decides to change their course of business, which is common for start-ups in their initial stages. With multiple investors, not all of them might be comfortable with the proposed changes in plans, but with a venture company there is only one entity to convince. Paul explained that venture debt comes in when fast-growing start-ups require additional capital financing to grow, but are unable to obtain bank loans. The difference between venture debt and bank loans is the process by which the loans are offered. Banks look at profits and assets or may ask for personal guarantees – requirements which some start-ups will not be able to meet especially if they are still in the early stages of development. On the other hand, venture debt companies assess the start-up by looking at its business plan, cash balance, as well as who the investors are. If the start-up seems promising, the venture debt company may decide to support it. Why choose venture debt if there is venture capital? Paul clarified that venture debt is not merely an alternative to venture capital – in fact, most of the time companies use both venture debt and venture capital. Raising equity can be expensive – if a start-up has a working capital gap, it is not always prudent to give up equity to plug the gap. Thus, in certain situations, debt may be a better alternative as it is always cheaper than equity. According to Spencer, accelerators may not give you an extravagant amount of cash, but they are good for networking and immersion in the market. The rates for accelerators are now about US$100-120k, and they typically take a cut of about 6-12% depending on how aggressive they are. Paul cautioned that companies should not be too dependent on corporate accelerators since there have hardly been any well-known cases of companies transitioning from being within a corporate accelerator to being wholly owned by the corporate itself. He advised founders to think of corporate accelerators as stepping stones leading to where you want your company to eventually be. Spencer added to bear in mind that when working with corporate accelerators, you would be working with their corporate development teams and not directly with the customers your business is targeted at. Government grants are useful for young founders fresh out of college. In Spencer’s personal experience, getting a grant helped ease his parents’ concerns. Although such grants are usually not a large sum of money, they are sufficient as a head-start to begin making products, hiring, etc. When is the right time for a start-up to raise money and how do you decide which funding method is best for your company? The panellists agreed that choosing a source of funding depends on various factors, such as the stage the company is at and the company’s business model. For instance, venture capital and angel investors may be good options for newly-minted companies, but venture debt may be a better choice for more established companies which want to keep their equity. For new start-ups, Paul suggested looking towards angel investor networks for funding. Angel investors are private investors who are keen on investing in start-ups they are interested in, usually in exchange for convertible debt or ownership equity. If they have expertise in the line of business, they may even be willing to help guide the company. Spencer shared his personal advice that to build a global company, one should build their business wherever their target consumer may be, e.g. Silicon Valley. This way, you can build a relationship with the consumer base you want, and when you hit a significant amount of traction, investors would start to approach you. However, Spencer also shared that it is not uncommon for founders to talk to hundreds of investors to only land one – tenacity and grit is important to start a company, so don’t be afraid to try multiple options! Need legal advice on Alternative Funding? Get a Quick Consult with one of the practicing lawyers in our network for a transparent and flat fee. You can expect a call back within 1-2 days on the phone to get legal advice and have your questions answered. This article is written by Alison Olivia Lewis from the Asian Law Students’ Association.